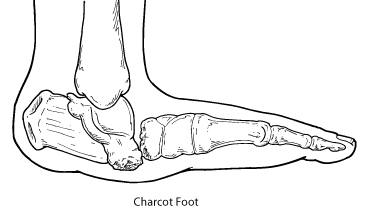 A Question From India: Can Charcot Foot Be Cured? The PA Foot and Ankle Associates blog gets questions from all over the world about foot and ankle health. Today we received this one from Manohar in Bangalore City, India. Thanks for your question, Manohar. The doctors at PA Foot and Ankle Associates, and particularly Dr. Thomas Rocchio, are one of the United States’ foremost experts on Charcot foot disorder. 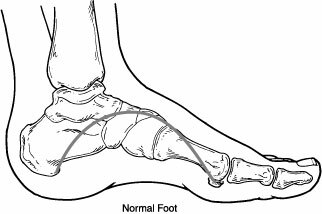 Charcot foot disorder is a side effect of diabetes and is accompanied by diabetic peripheral neuropathy. Diabetes damages blood vessels, causing a decrease in blood flow to the feet. Poor circulation weakens bones, resulting in a disintegration of bones and joints in the foot and ankle. This puts the bones at high risk of fracture. Unfortunately, a diabetic who has nerve damage from DPN has a loss of sensation in their feet, and will be unaware of the bones fracturing. They continue to walk on the foot, causing the joints to eventually collapse and the foot to change shape, most notably to a rocker-bottom appearance. Sharp edges of bone may put pressure on the skin, creating the risk of chronic skin sores. It’s this end result – a combination of bone disintegration and trauma – which is known as Charcot foot disorder. It’s one of the most serious complications of diabetes. Charcot is a very dangerous disease, as it is in many cases accompanied by bone infection. In highly advanced cases, sometimes amputation is the only realistic treatment. However, it is far from the only treatment. Early diagnosis of Charcot is key to saving the foot, which is why every diabetic should have their feet checked regularly by a podiatrist. Manohar, we’d be happy to examine your father and give you a complete diagnosis and treatment plan if you and he can travel to the States. Throughout the PA Foot And Ankle Associates blog we stress how important it is for diabetic patients to take proper care of their feet, especially those who’ve been diagnosed with diabetic neuropathy. We stress this because we see far too many patients in the OR requiring the amputation of a toe, a foot, or part of their lower leg in addition to a foot. This is truly a procedure we wish we performed less frequently. While amputation indeed saves the remaining limb and sometimes even the patient’s life, early care of diabetic foot ulcers and preventive treatment are the keys to keeping your legs, feet and toes intact. Each year more than 60,000 people in the U.S. require a lower-extremity amputation due to complications from diabetes. That’s a tragic figure, considering that early intervention from a podiatrist can in most cases prevent ulcers and consequent infections from becoming serious enough to warrant amputation. The most frequent reason for these amputations is poor treatment of infected diabetic foot wounds. Unfortunately, about 50 percent of patients who have a foot, toe, or leg amputated die within five years – a worse mortality rate than for most cancers. Roughly half of these amputations can be prevented through proper care of foot infections. Because people with diabetes often have poor circulation and little or no feeling in their feet, a minor cut that goes unnoticed or a sore caused by a shoe becomes infected. If left untreated, the infection can spread, killing soft tissue and bone. Dead and infected tissue must be surgically removed, which, if the infection is extensive, can mean amputation of the toe, foot, or even part of the leg. Nearly 80% of all nontraumatic amputations occur in people with diabetes, and 85 % of those begin with a foot ulcer. You might be surprised to learn that doctors consider even minor redness, callus, blisters, sores, or any break in the skin on the foot to be a diabetic foot ulcer. It may seem over zealous, but impairments associated with diabetes, such as a weakened immune system, nerve damage, and poor circulation, diminish the patient’s ability to fight even a minor infection. Wounds easily treated and healed in non-diabetic patients often become chronic, non-healing wounds in diabetics. As a result, when a wound becomes infected, it enters a perpetual inflammatory state and can’t move through the healing process. These infections can become systemic, infecting the entire foot, including the soft tissue and the bones. Podiatrists have many tools and specialized training at their command to properly treat foot ulcers to heal them as fast as possible. The most important thing any diabetic patient can do is to effectively manage their blood glucose levels from the onset of their disease. If you’ve recently been diagnosed with diabetes, take your blood glucose levels seriously by eating correctly and monitoring levels as prescribed by your doctor. You should also be visiting a podiatrist on a regular schedule so he or she can create a baseline against which to measure any effects of diabetes on your feet or ankles. A word about preventive surgery: If you have diabetic neuropathy and you develop a bunion, hammertoe, charcot foot, or corns, you may want to consider surgery as soon as the abnormality is discovered. Because these conditions create areas of great pressure in your foot, if you have a loss of sensation, or if your blood circulation is poor, this pressure can lead to a non-healing wound. Eliminating the abnormality in the foot may deter a future ulcer which leads to an amputation. These surgeries are rather routine for podiatric surgeons and are usually performed on an outpatient basis. Do you ever wake-up at night because your feet are on fire? Have you been experiencing different sensations in your feet? Are you tired of your overly dry feet? If you said yes, chances are you may be experiencing symptoms of peripheral neuropathy. Some of the most common symptoms are burning, tingling, numbness, pain or weakness in the legs and/or the feet. These sensations can be explained as damage to the nerves, most commonly the nerves to the skin. The most common cause of peripheral neuropathy is diabetes with others being alcoholism, chemotherapy, various drugs, AIDS or even lack of nutrition. Diabetic neuropathy is due to consistently higher levels of sugar in the blood. The sugar accumulates in the nerve and ultimately disrupts the signals that are traveling through the nerves from the feet to the brain. These disrupted signals are primarily the cause of the various sensations such as burning in the feet. If left untreated overall sensation in the feet and legs could be lost. The best treatment of diabetic neuropathy is to control the sugar levels in the blood. However if your sugars are under control and you still experience symptoms there are other treatments available such as oral medications or creams that may provide some relief. If these treatments do not work other options will be discussed. If you think you may be suffering with diabetic neuropathy come and see us. We will do a full diabetic foot exam, testing all the sensations in the feet, the circulation and overall foot health. Come on in and start relieving the pain today. An estimated seven in ten diabetics have nerve damage that impairs feeling in their feet. Loss of sensation inhibits the body’s normal pain response and as a result, walking can apply repetitive pressure to a wound, making it larger and deeper. This may lead to foot ulcers that won’t heal, serious infection or in the most extreme cases, amputation. Fortunately, of all diabetes related complications, a foot ulcer may be the most preventable. Simply visit your podiatrist at least once a year to check for symptoms of ulcers on your feet. The Diabetic Foot And Ankle Center at East Penn Foot And Ankle Associates offers state of the art treatment for all diabetes-related complications of the feet. On your first visit your podiatrist will create a diabetic preventative foot care plan for you and advise you as to your best course of treatment.